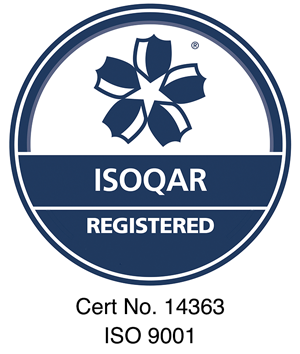 We are pleased to announce that Volcanic is now ISO 9001:2008 certified for its quality management system. This is an international standard recognised across Austalia and is an assurance that when you choose Volcanic that we will provide a quality service. ISO 9001 is the world's most widely recognized Quality Management System (QMS). It belongs to the ISO 9000 family of quality management system standards. An ISO 9001 quality management system helps us to continually monitor and manage quality across all operations, and outlines ways to achieve, as well as benchmark, consistent performance and service. Internationally, it is the quality system of choice! Volcanic's journey which commenced in August 2015 involved improving the quality of our products and the quality of our services, which we provide to our customers and also reflects the commitment we show to our internal team. As is the case with everything we do at Volcanic, we built our own cloud based quality management system and connected together all our internal systems including our project management systems, HR systems and Financial Systems to provide a seemless integrated solution. The work also represented a major investment in our systems, technology and processes and this also reflects the maturity in our processes and our company. What's next in our journey .... will be working on additional ISO standards that we feel will also benefit our customers and that will allow us to stand out from our competitors.